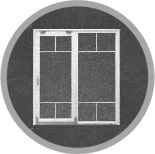 The advantage of this type of door is that it allows larger openings (up to 1.6 m for the mobile sash) and that it does not take up space in the room, because it can be opened by sliding it parallel to the frame. 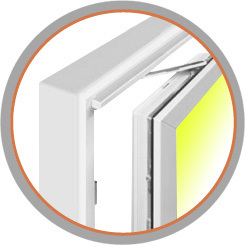 When it is closed, the sash connects with the gasket, which allows excellent sealing. 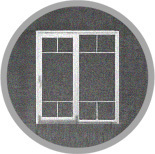 The opening maneuver is performed by two movements, first by moving the sash towards inside of the room and then sliding it parallel to the window plane, towards the area where it is pulled back. 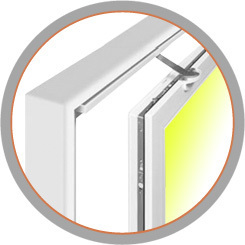 The tilting-sliding hardware without control is provided with a locking mechanism with pressure control, in order to prevent the deflection of the door when it is closed. The scissors are connected with a metal rod, in order to allow airtight sealing the entire width of the door. It is suitable for small and medium windows and doors. At the upper part there are two synchronized scissors that fix the sash in the tilted position. 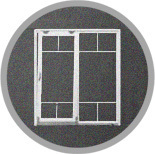 When it is closed, the sash must be pushed manually in the frame plan. ensuring a tight sealing all over the perimeter. 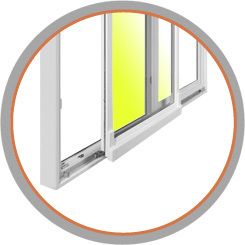 The tilting-sliding hardware with forced control is provided with a mechanism that, when it is locked, seals the sliding channel in frame, and, when it is opened, unlocks it over the entire width of the frame. This ensures a correct and safe functionality, even for large and heavy doors. At the sliding doors with forced control, both upper scissors are operated by the handle. 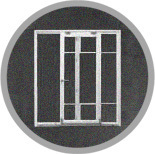 These pull / push the sash, which ensures easy handling, especially for heavy doors.